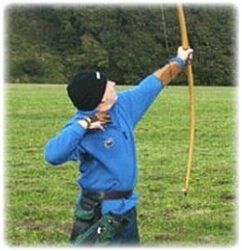 Well done to Ann Ward from Ayr Archery Club who claimed her Metric 6 Clout End Badge on Sunday 17.07.11 at the Bannockburn Day of Clout. Ann was shooting compound at a distance of 165m. This is believed to be the first Metric 6 Clout End badge to be claimed at a Metric Clout in Scotland. To see the results for the Day of Clout shot click here.